From high-rises in Manhattan to brownstones in Queens, doing a bathroom makeover can be as easy as adding new bathroom tile, repainting the walls, or creating additional storage. 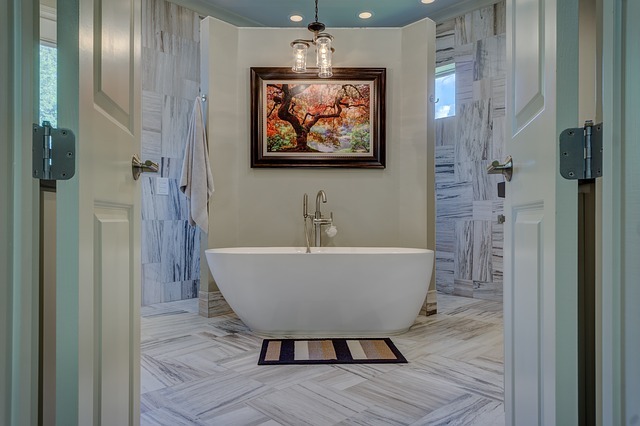 Whether you are considering a major bathroom overhaul or a simple refresh, these seven design ideas are sure to fit within your budget. Whether you live in Manhattan, Brooklyn or Queens, these 7 bathroom makeover ideas blow your mind but not your budget. Simple solutions, such as a ceramic bathroom tile backsplash or a new mirror, are easy ways to update a space. Few things refresh a space like a fresh coat of paint. Whether it has been one year or ten, your bathroom is sure to thank you after a new coat of paint has been added. Additionally, repainting the space gives you an opportunity to completely change the look of the space. Consider the repainting of the room as a wardrobe change for your bathroom. Your color can reflect the palate in your ceramic bathroom tile or stand in contrast to your granite countertops. 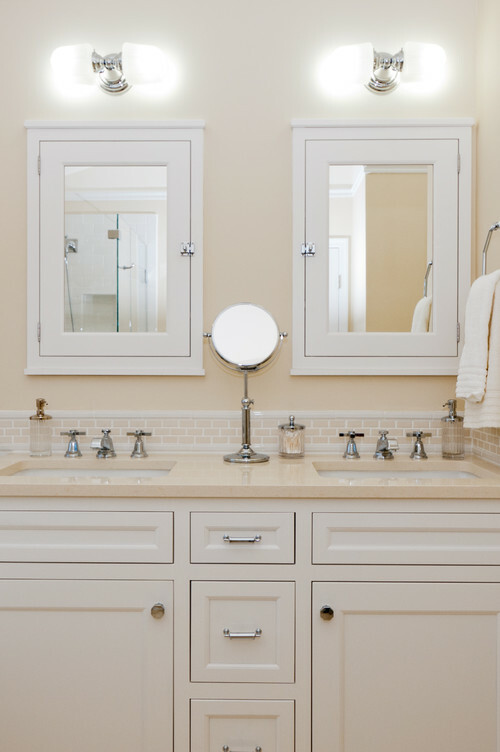 Often, the area around a bathroom’s sink and vanity is faded or in need of a refresh. 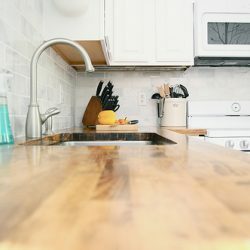 Rather than repainting this area, consider updating the space by adding a glass or ceramic bathroom tile backsplash to the region surrounding the sink. The colorful pop of a glass or ceramic bathroom tile will enliven the small space and add interest to the bathroom’s overall design. Additionally, the beautiful bathroom tile will serve a practical use and protect the bathroom walls from future water damage. A great bathroom makeover begins with a vision of what it is that you want your space to become. Let your bathroom mirror reflect the image that you want to see and allow it to help form the space that you want to spend time in. If you have a plain-jane mirror or an outdated piece of glass, simply switch out the mirror and watch as your space comes to life. Vintage or modern, a unique mirror adds character and style to your bathroom space. Less really is more when it comes to home design. Bathroom space should center around the renewal of mind and body. Likewise, the design of the space should reflect this idea. Cluttered counters rob a bathroom of its ability to refresh. However, fixing a cluttered bathroom can be as simple as editing what you keep on your bathroom’s countertops and other visible space. Edit, throw away what you don’t need, and find smart storage solutions for the rest. Bathroom countertops should display the essentials. However, that doesn’t mean that they need to be an eyesore. Opt for pretty soaps, cups, vases, and trays that reflect your bathroom’s overall design and sport a cohesive style. Many retailers boast a wide array options for those in search of bathroom accessories. These small items can go a long way in creating a serene bathroom getaway. Bathrooms can be sparse and clinical. This is why a houseplant is a wonderful addition to any bathroom space. Whether you prefer the bold, dark green foliage of a peace lily or the colorful bloom of an orchid, a house plant will invigorate your bathroom space. A plant’s lively colors are sure to pop against the stark backdrop of your bathroom tile and add enliven even the most ordinary bathroom. Is your bathroom in need of a style overhaul? Your bathroom makeover does not need to wait until you win the lottery. 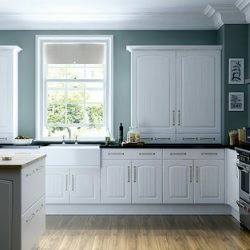 There are many simple and affordable ways that you can add style to your bathroom. Take stock of your home’s current furniture selection. Is there something that would work in your bathroom? Consider adding, a stool or a side table. Perhaps a magazine rack next to the commodes. While you’re raiding that house looking for that table lamp, consider a bit of furniture. Adding furniture is an easy way to interject a little style into a hum-drum space.